When you want clean, soft water on demand, the team at Schultz Soft Water has you covered. We’ve been in the business for years, providing quality water systems throughout Central Minnesota to improve water softness, remove stains, keep hair and skin from drying out, and extend the life of water-specific appliances. Basic, municipally treated tap water can’t be trusted to filter out all the harmful bacteria and minerals, which is why personalized filtration systems are a necessity. 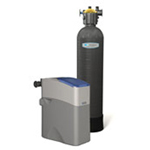 At Schultz Soft Water, we sell multiple brands and over 30 different models, guaranteeing a positive experience, no matter your preferences or budget. An elite brand in water softener services, Kinetico’s basic series is ideal for homes with challenging or severe water problems. 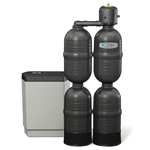 With dual tanks to offer an unlimited supply of water, on-demand regeneration without electricity, and a 10-year warranty, this system is a great fit for any home. A maximum efficiency unit that regenerates based on your water consumption, the AquaKinetic series is ideal for those who want to cut costs, especially in the long-term. With an approach that saves water, salt, and money, this unit can provide seamless, affordable functionality for any home. 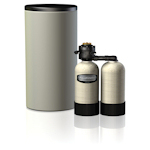 Powerline water softeners utilize a 12-day timer for regeneration and a single tank to keep costs as low as possible. Tough on iron and hard water but light on your budget, Powerline products can be perfect for homes that use less water or want to save energy. For those facing tough water problems, the Premier series is perfectly equipped for even the largest problems. Utilizing the kinetic energy of water instead of electricity, this series is up to the challenge of hard water, iron issues, particulate matter, and even chlorine. 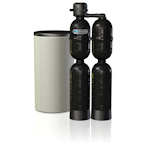 With the ability to calibrate systems to exact water conditions, there’s no better way to treat your water. A solution that keeps pace with any household’s water needs, the Signature series offers an uninterrupted flow of clean water. With a non-electric valve and dual tanks that are in use around the clock, regeneration will never stand in your way with these Kinetico products. A perfect fit for any basic water problems, the Essential series is designed to protect your appliances from scale buildup and keep water soft and easy to use. Ideal in an environment where hard water is less of an issue, this non-electric option is fast, simple, affordable, and easy to use. Whether you know what you need or are simply looking for professional opinions, there’s nothing Schultz Soft Water can’t do for you! 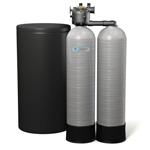 We’re the water softener installation experts. Call 320-251-4100 now to install your perfect unit!